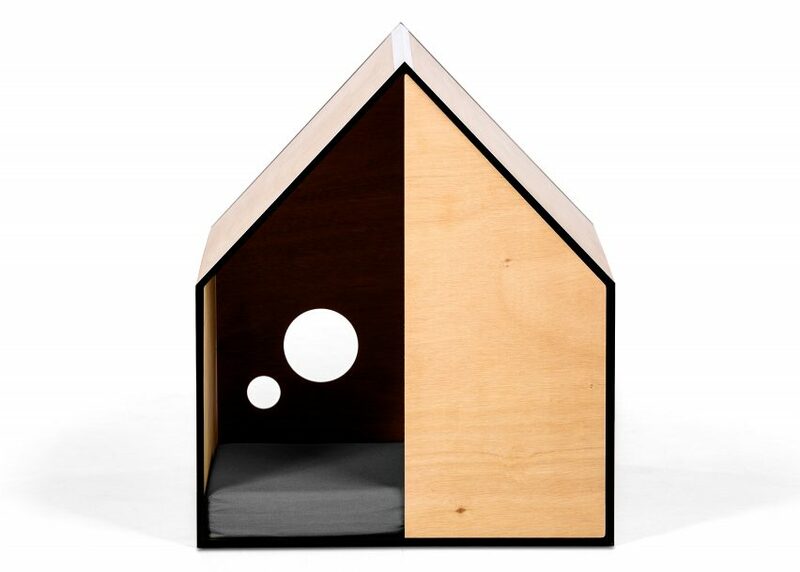 Dezeen promotion: Australian design brand Made by Pen and Melbourne-based architect Michael Ong have teamed up to create a miniature wooden house for dogs (+ slideshow). 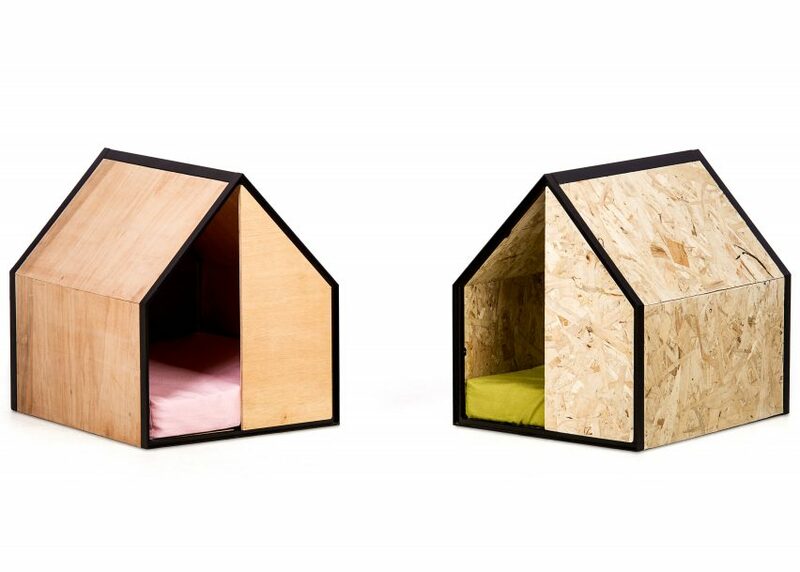 The Dog Room is Made by Pen's first collaboration with a designer, and aims to fill a gap in the market for "designer dog kennels". 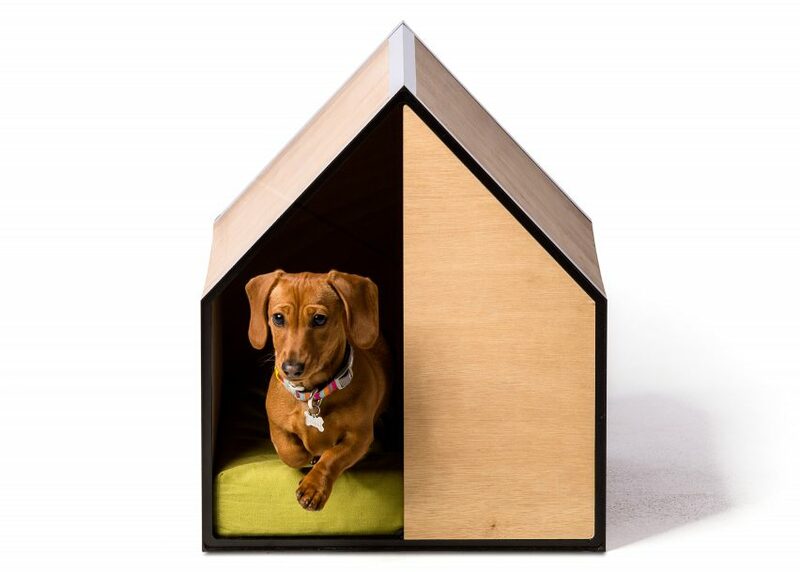 "The three of us had this discussion about how there are no designer dog kennels that fit in seamlessly with existing architectural spaces, and don't cost an arm and a leg, said Made by Pen founders Michael Mabuti and Susan Chung. "We thought there was a definite need for it." 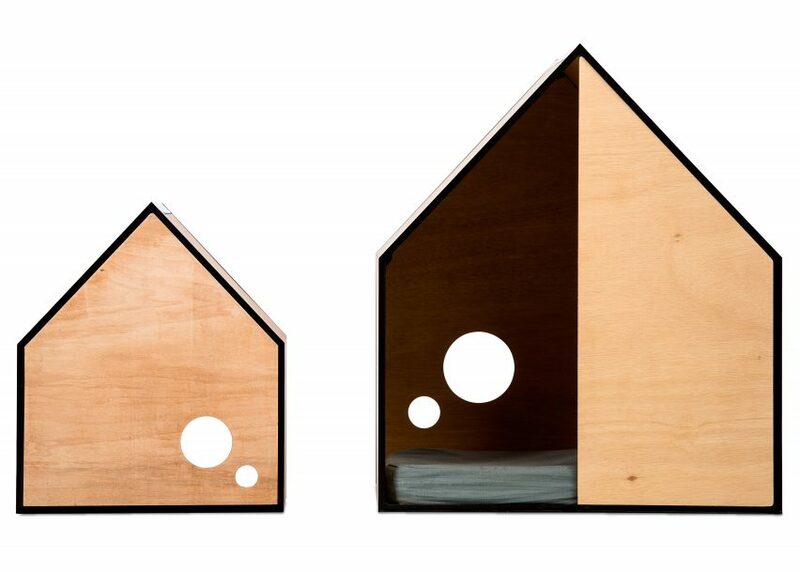 Ong wanted to simplify the design of the kennel, so based its shape on a child-like drawing of a home. 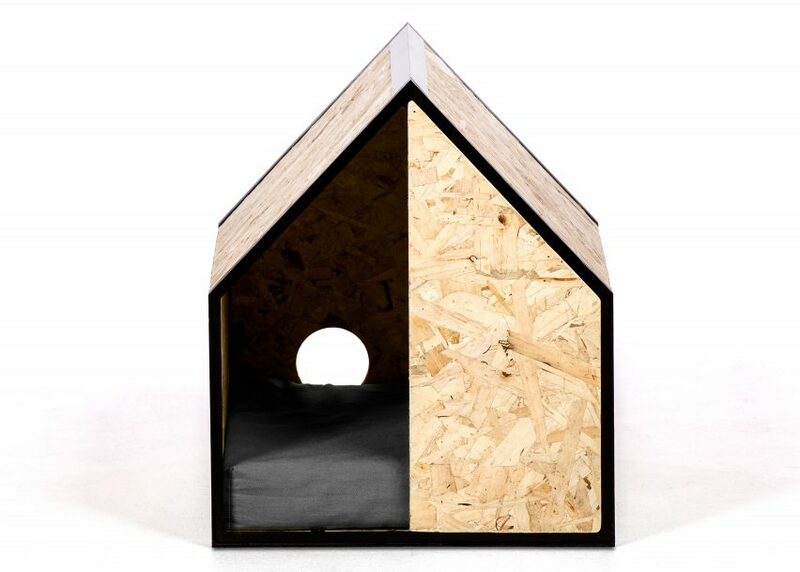 A black-painted aluminium frame articulates a steeply pitched gabled roof. 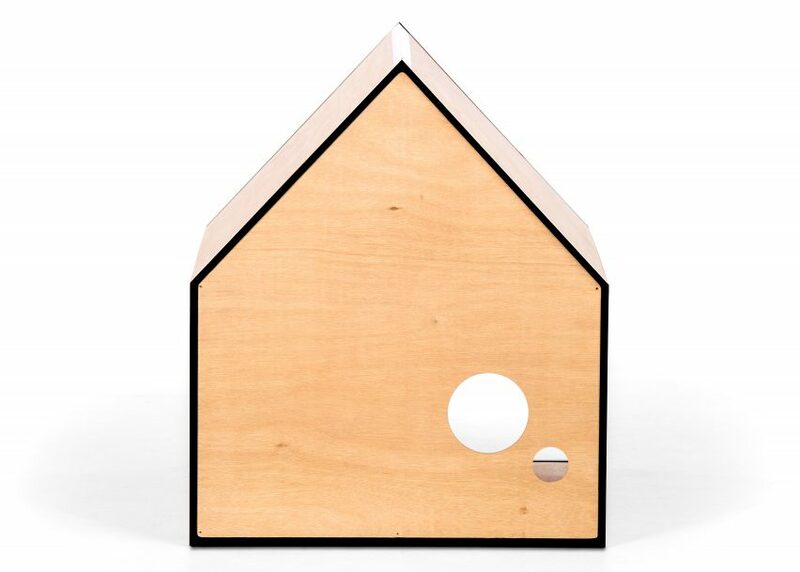 "By exploring this childlike yet beautiful idea of a house, we were able to create a design that pursues simplicity and minimalism," Ong explained. The front of the kennel is half open and half covered with a wooden panel. There are two circular windows at the rear, which allow air to flow though, as well as views in and out. 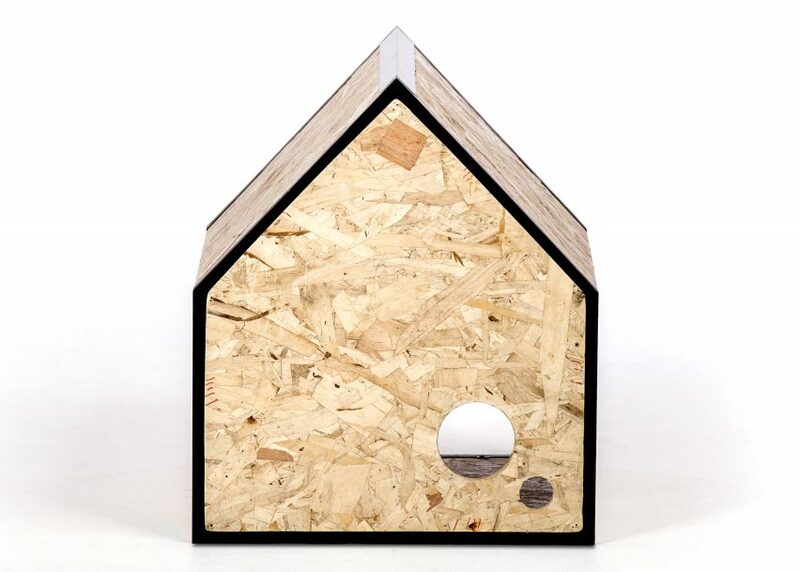 Plywood panels slot into the aluminium frame, so can be easily replaced if damaged. 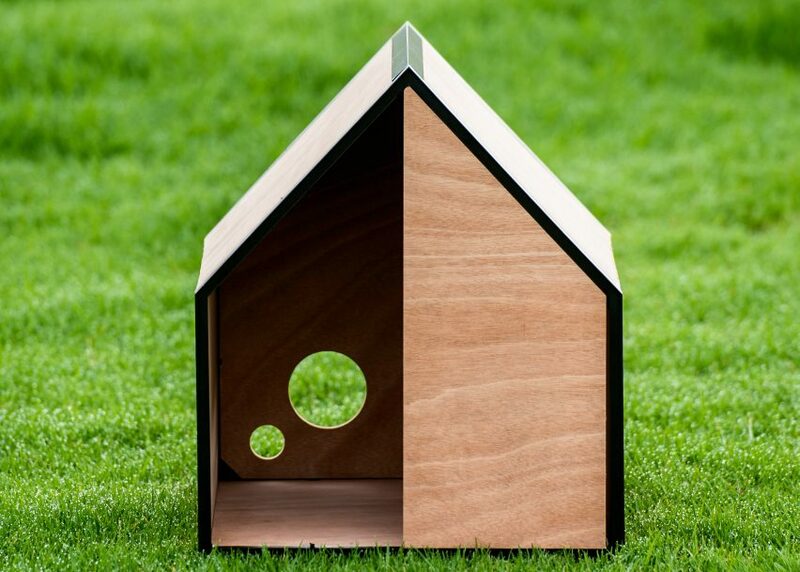 The wood has a waterproof coating to make the kennel suitable for both indoor and outdoor use. 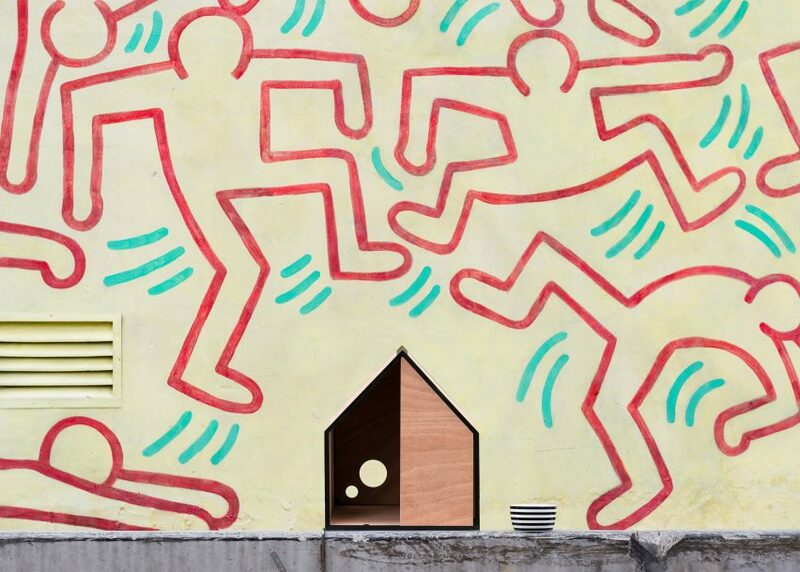 "A lot of thought has gone into all the little details; each angle, every connection, material, colour and the finish," said the architect. 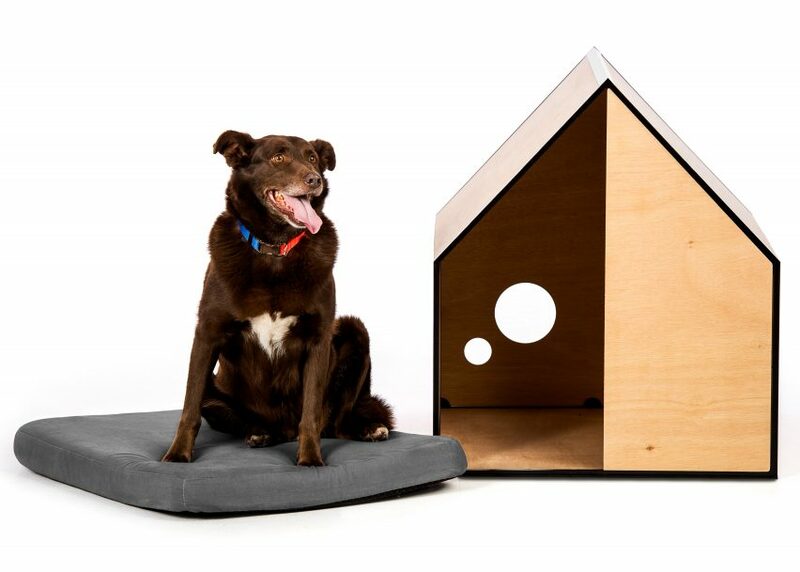 The Dog Room is available in two sizes, and comes flat-packed in a re-usable box. 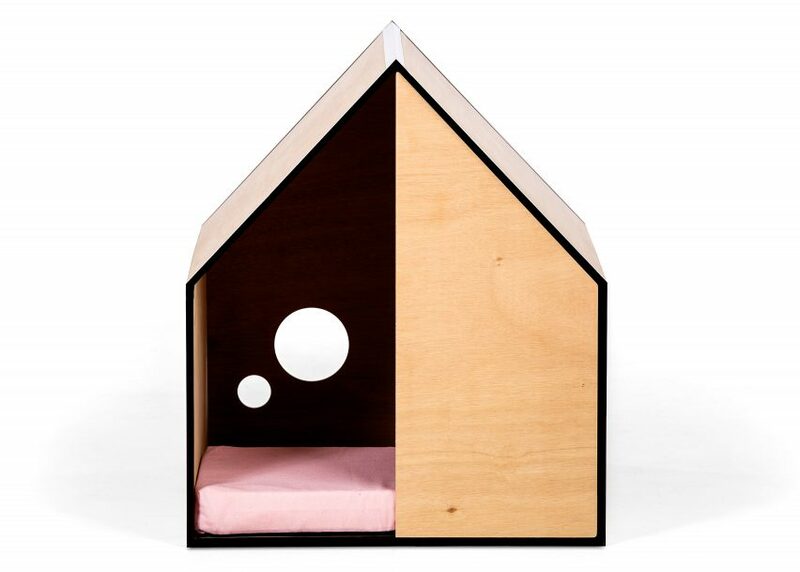 There is also a memory foam bed, which is available in either grey, pink or green, to accompany the kennel. Launched by Michael Mabuti and Susan Chung, Made by Pen intends to create opportunities for established and emerging Australian designers by helping them bring products to the market. Visit the Made by Pen website for more information.